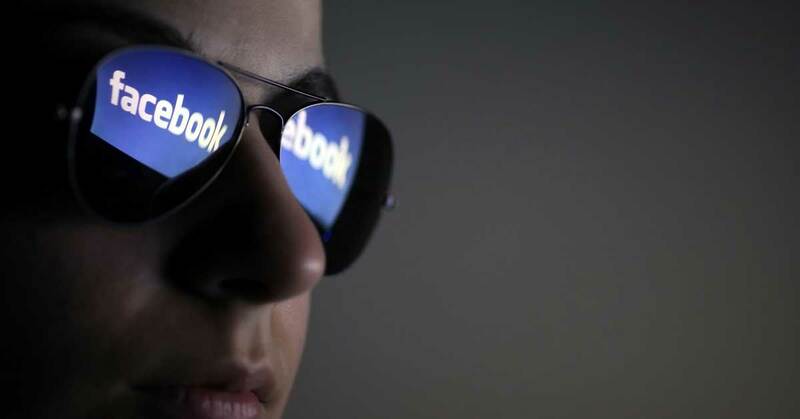 Is Facebook Good Or Bad For Us - What is The Verdict? So we all know that social media has become an integral part of everyday life for most of us. According to the Pew Research Center, 71% of adults used Facebook as of September of 2014. Now, I won’t say that I was shocked by those statistics. Let’s face it, social media is a huge part of what we do here, so keeping up with the trend of internet usage is important. What those statistics DID do, was lead me to ask the question: “How much time does the average person spend on Facebook every day?” Amazingly, according to NBC News, the average American spends 40 minutes a day on Facebook alone. As astounding as that may sound, keep in mind, that is the AVERAGE. I will be the first to admit that I spend at least that amount of time on Facebook every day. In my case, it has to do with what I do for a living, but even then – it’s too much. So instead of just acknowledging the problem, I’ve decided to put together a list of things that you can do every single day with that same 40 minutes that is more fulfilling than and Facebook status update ever could be. The Mayo Clinic recommends that you get at least 30 minutes of exercise a day. For the people that claim that they don’t have enough time to work out, here is your opportunity. For the record, exercise is not getting dressed, driving to the gym, taking locker room selfies for 20 minutes, and staring at weight machines for 20 minutes. Exercise can be as simple as walking around the parking lot at your office at lunch. The internet itself is a vast wealth of information. That same 40 minutes a day that people spend on average on Facebook, is roughly the same time it takes to complete a free online class. There are hundreds of websites that you can utilize to learn something new, or hone an old skill. Here are 40 of them right here that are completely free. According to the Bureau of Labor Statistics, the average daily time spent reading for kids between the ages of 15 to 19 is 4.2 minutes. That statistic doesn’t improve much for adults across the spectrum. Again, there are thousands of free, online sources for books. There is no reason not to engage your brain in a book at for 30-40 minutes a day. Besides, science has shown that reading is even good for you. The standard American Diet exists mainly because people sacrifice quality for convenience. Imagine if you took that 40 minutes a day spent looking at what other people are eating and cooked yourself a quality meal. Again, there is no lack of instructional materials for cooking and diet. A lot of people use the excuse that they are connecting with friends and family via social media, and that is why they use it so much. In reality, how well do you connect with someone digitally? Instead of scrolling through your news feed to see what someone is up to, why not pick up the phone? Social media tends to be the part of someone’s life that they want you to see, so breaking through that digital barrier allows you connect with the people in your life in more meaningful ways. I know that napping, as opposed to social media usage, sounds counter-productive – but naps are actually good for you. More specifically, short, 10-20-minute naps – which leaves you an additional 20-30 minutes to be even more productive. I might be a little biased about this one, but I think that writing is one of the healthiest things you can do for your mental and emotional state. I have always recommended to people that they maintain a journal or sorts, even if it is just to vent or collect ideas. You’d be amazed how much better you can feel after taking everything in your head and dumping it out on paper. Even in our techno-gadgetry heavy world, you’ll very rarely find me without an old beat-up spiral notebook and a pen. This is another personal activity I engage in at least once a day that has the ability to completely reset my brain. Every morning before I sit down to work, I completely clean off my desk, so that I start every day with a clean, organized workspace. Something about that mundane task just clears my head and focuses me on what I have to do that day. The same can work for your bedroom, refrigerator, or your entire house for that matter. De-cluttering and organizing kind of go hand-in-hand, but organization can extend into the intangible aspects of your life as well. Sitting down to get your proverbial ducks in a row is not only productive, but it reduces stress as well. Again, there is a whole collection of free apps and services you can use to collect the scattered aspects of your life. Meditation is one of those things I never thought I would get into. So when I started trying it, I mean REALLY trying it, I was amazed to find out how beneficial it can really be. Meditation has the ability to lower blood pressure, reduce stress, improve brain function, and elevate and balance your mood. Meditation isn’t something that requires a whole bunch of training or hours of time to get good at; it just requires you finding what works best for you, and doing it.